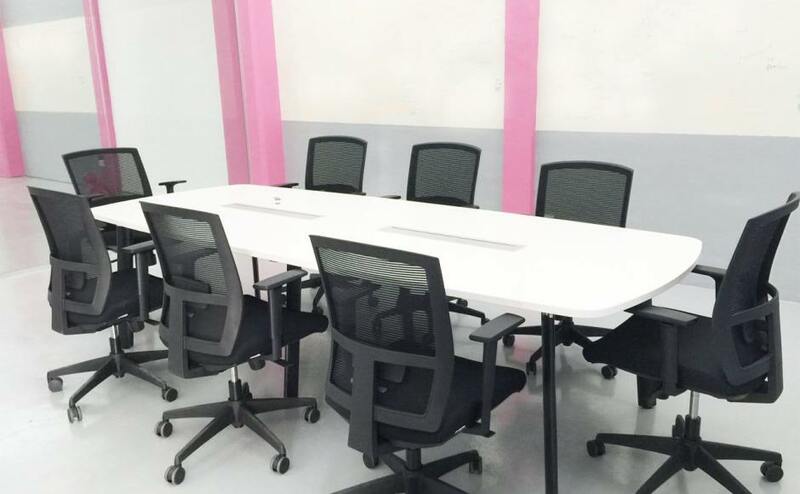 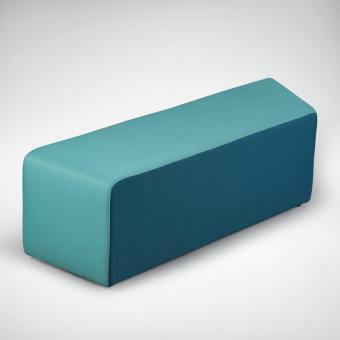 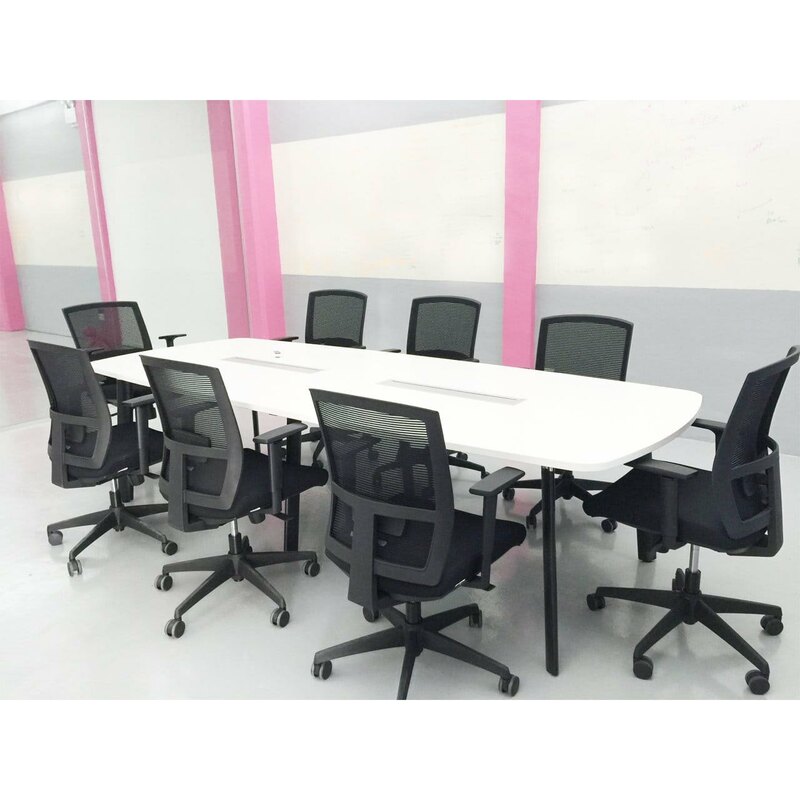 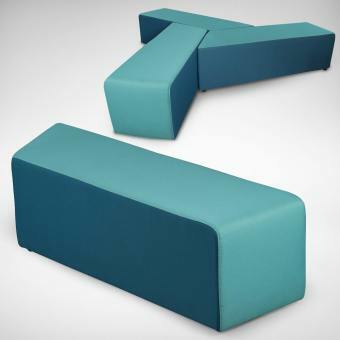 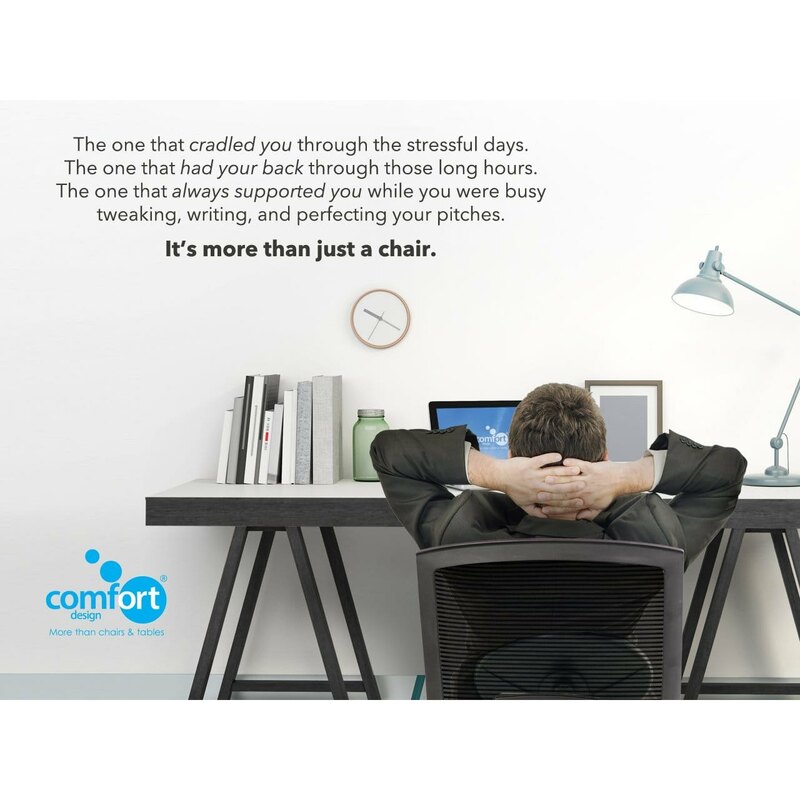 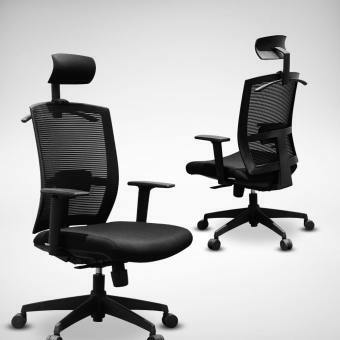 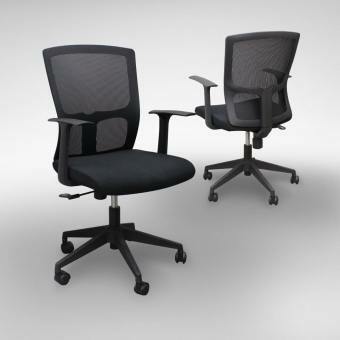 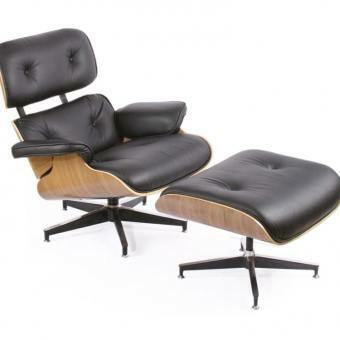 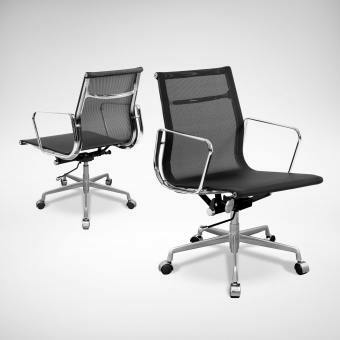 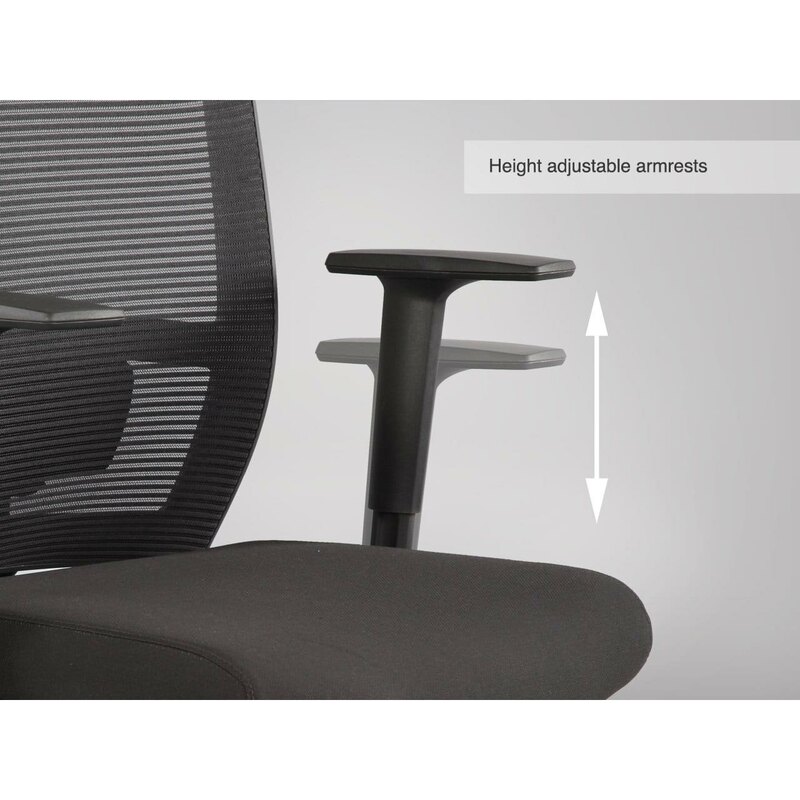 Height adjustable PU-padded armrests for greater comfort (arm-less version is also available). 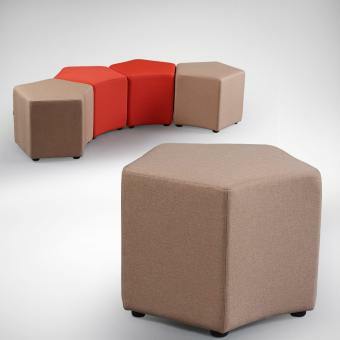 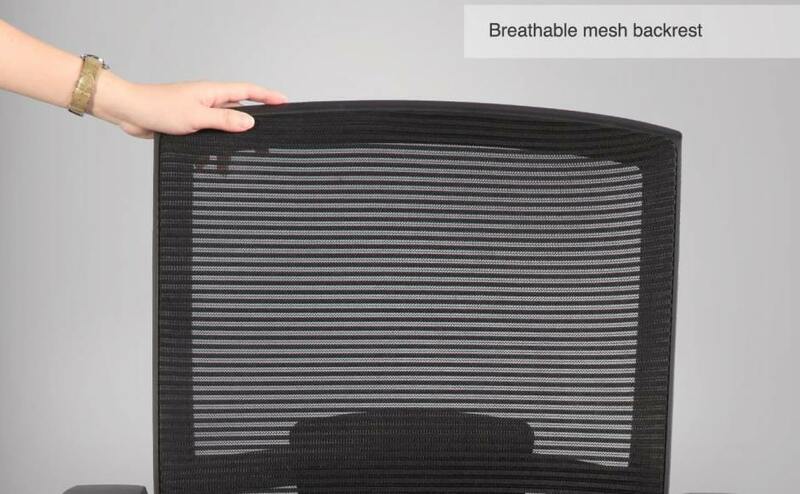 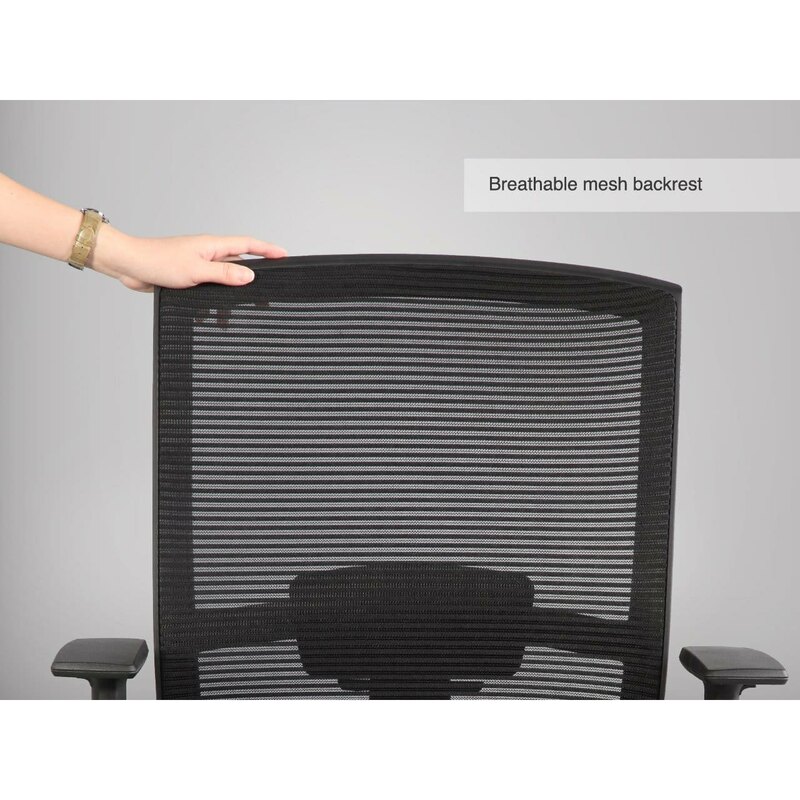 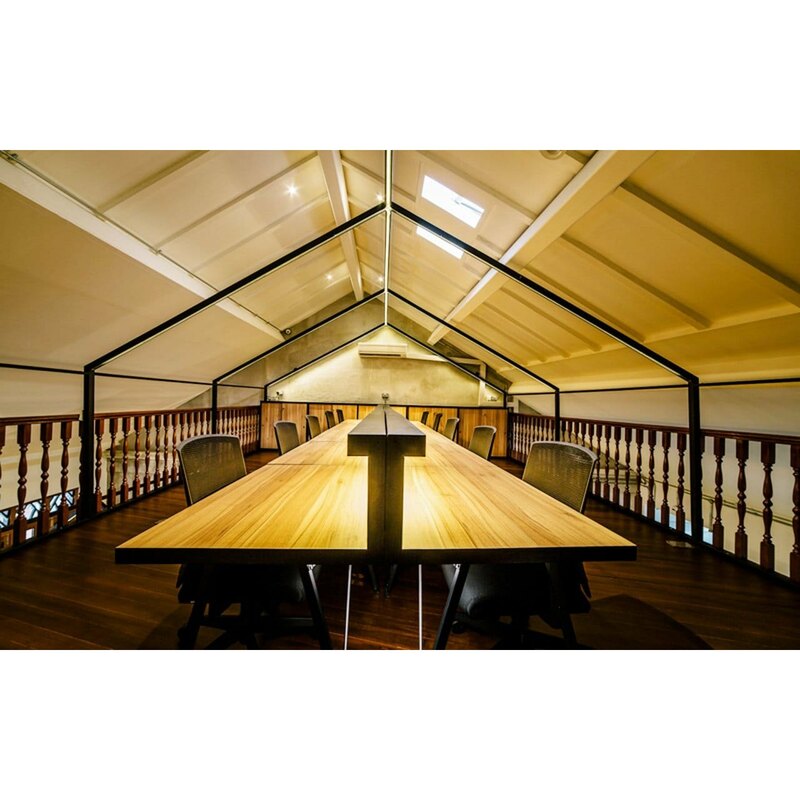 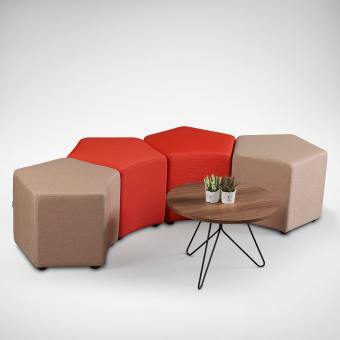 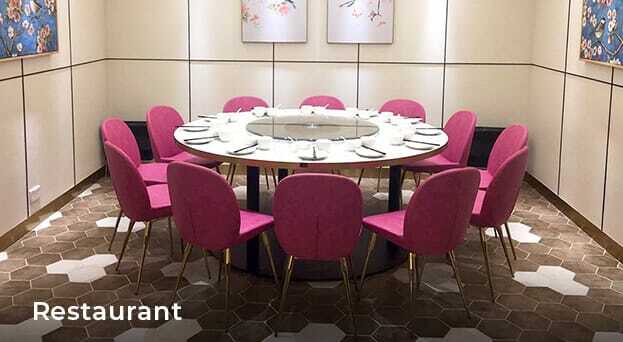 Breathable Mesh upholstery provides softness, comfort, good heat ventilation and support. 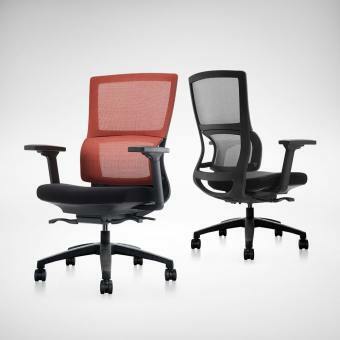 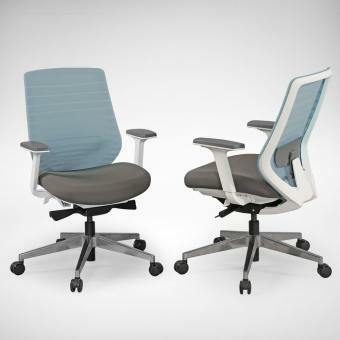 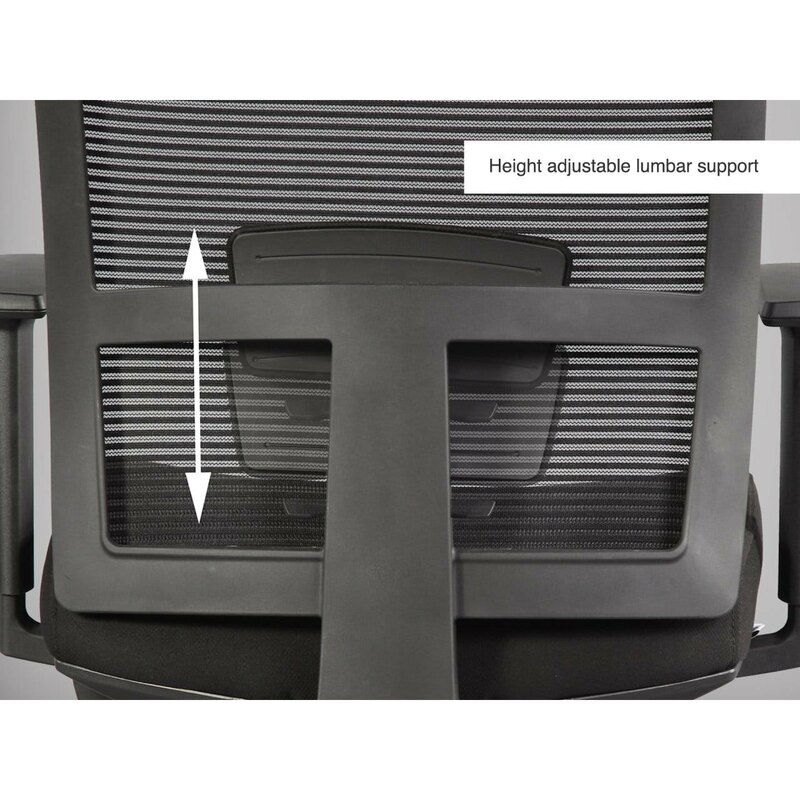 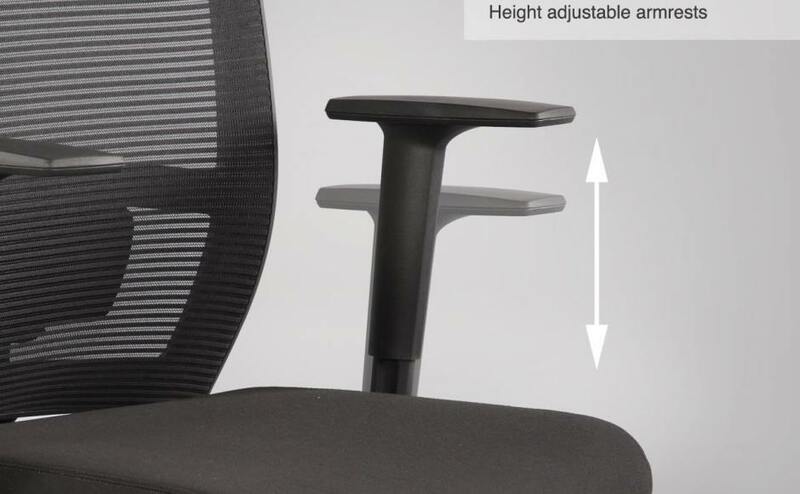 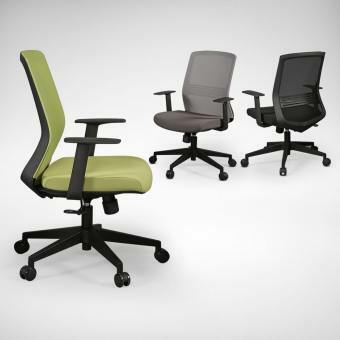 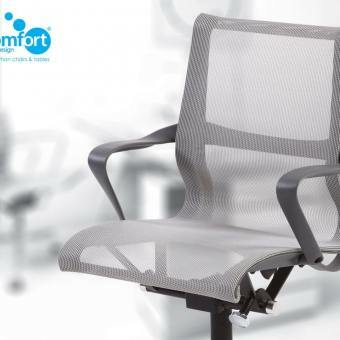 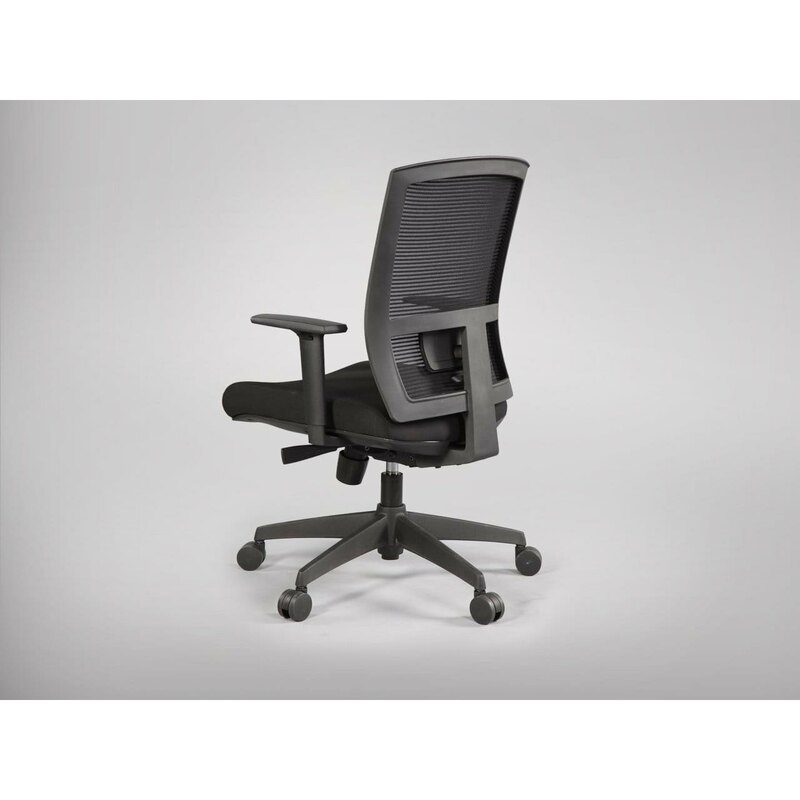 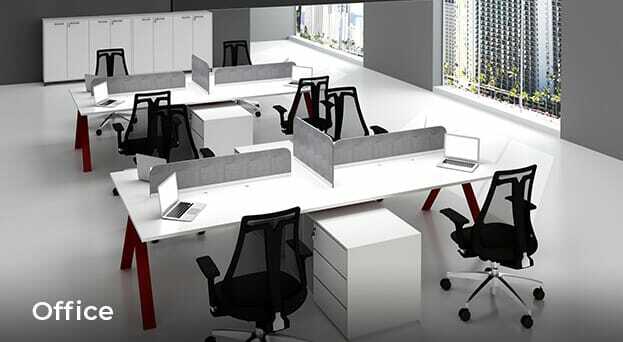 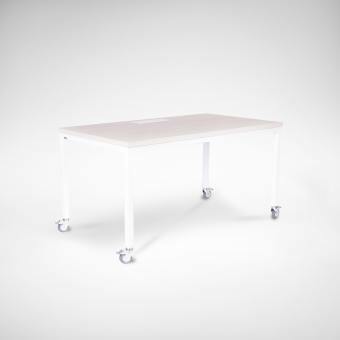 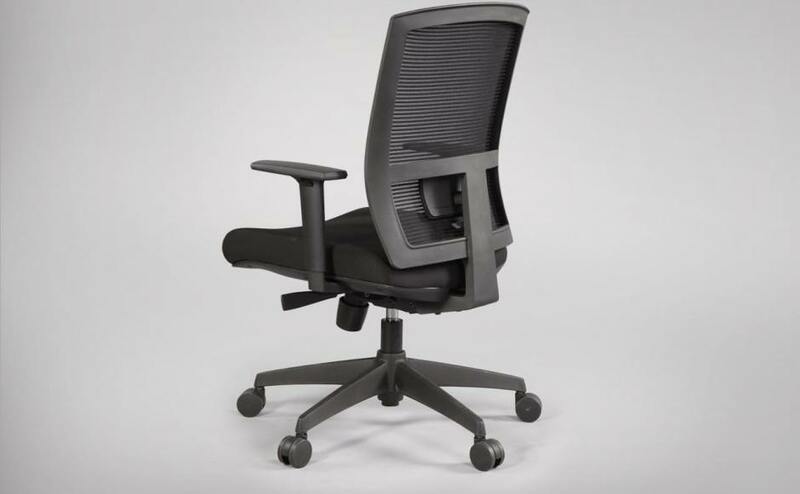 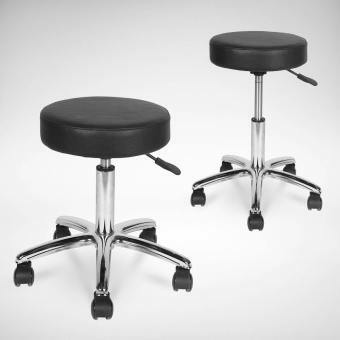 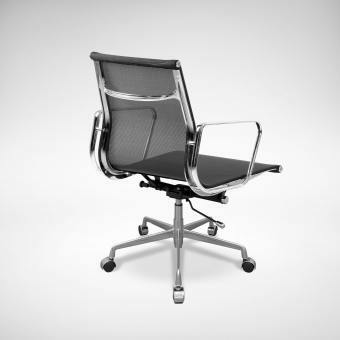 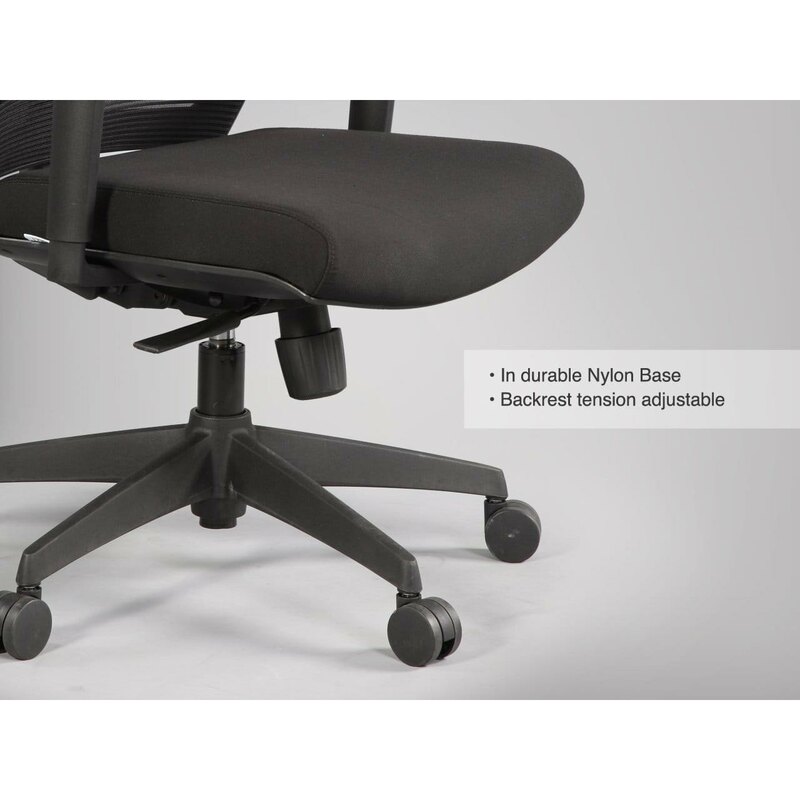 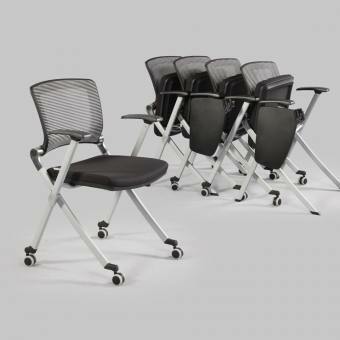 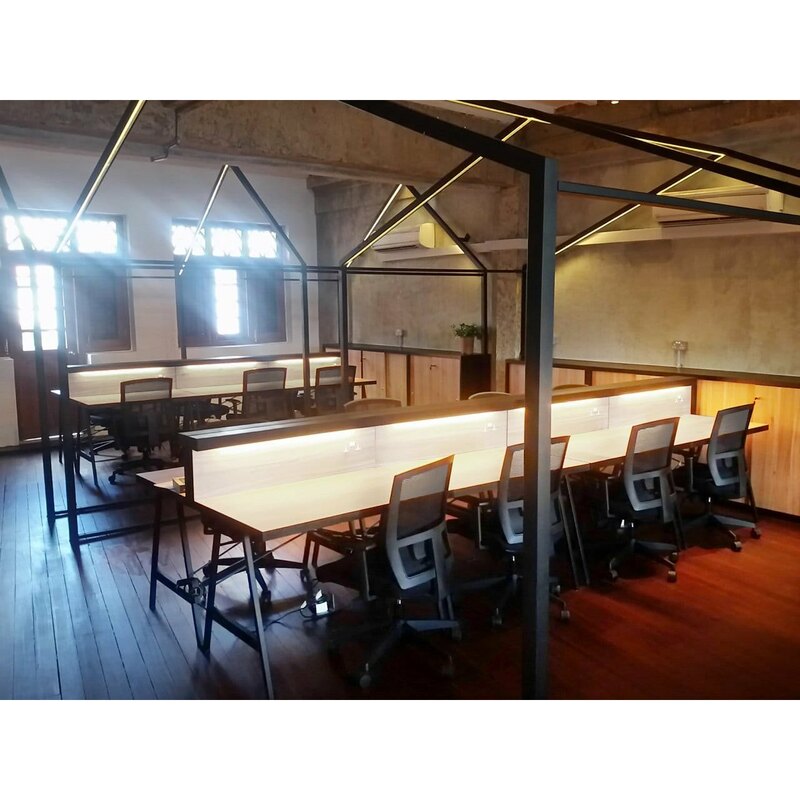 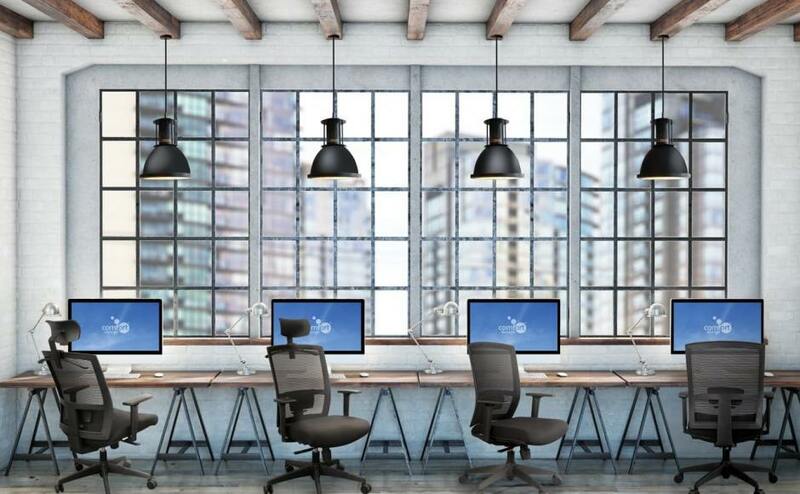 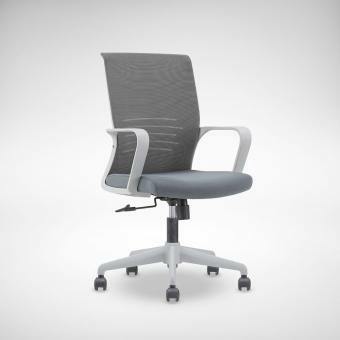 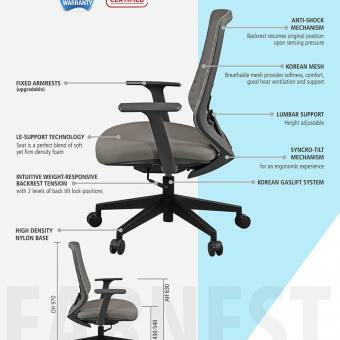 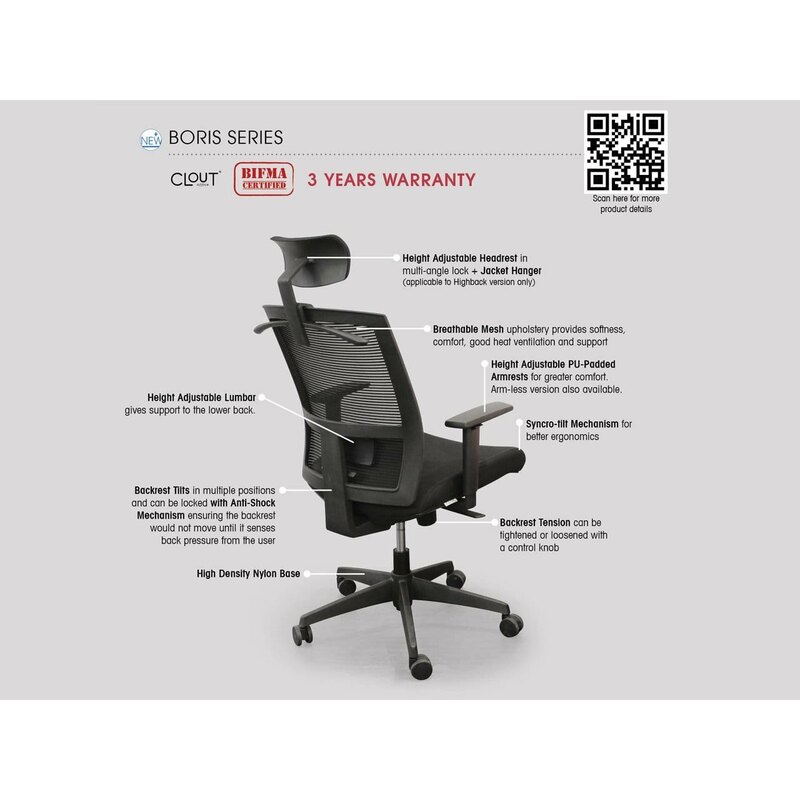 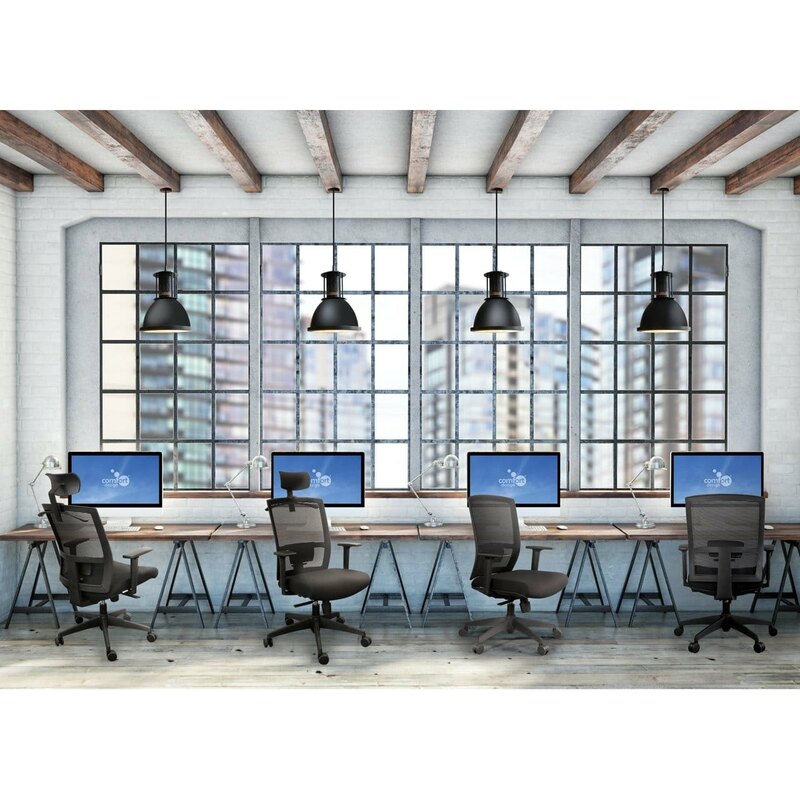 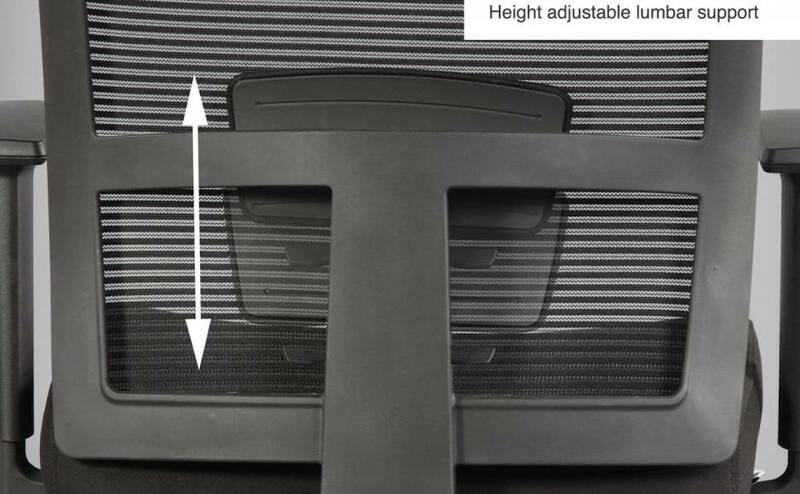 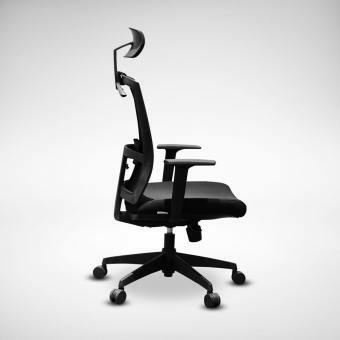 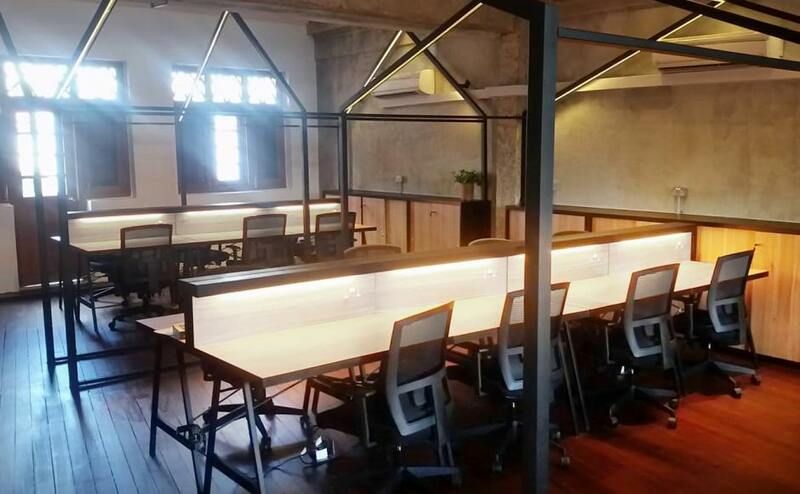 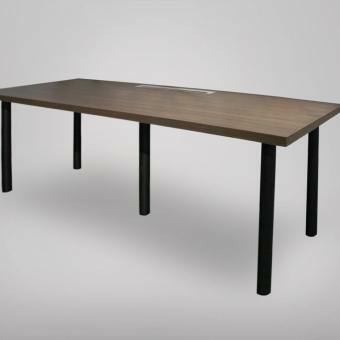 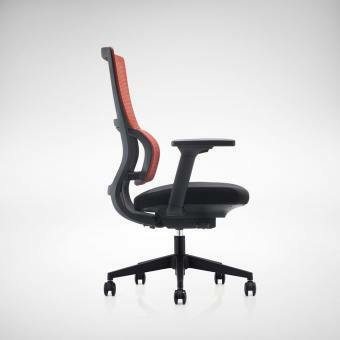 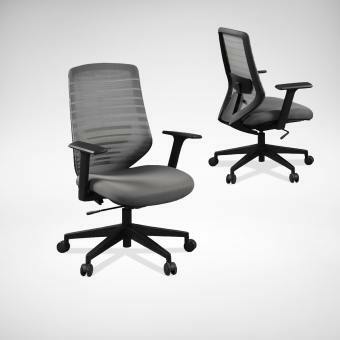 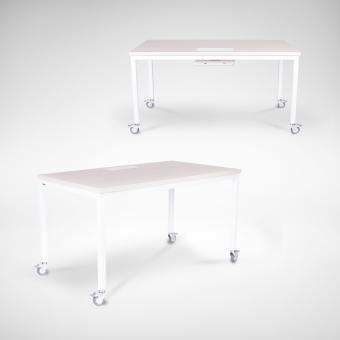 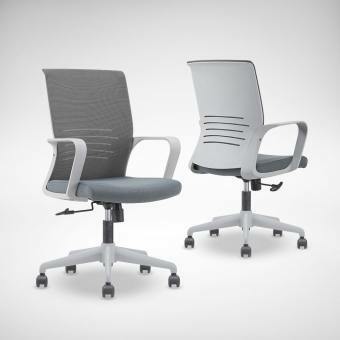 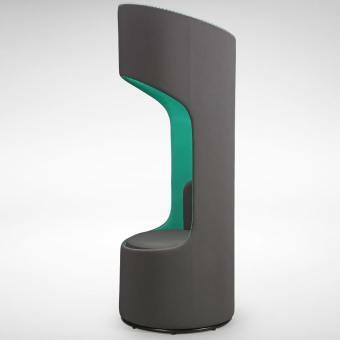 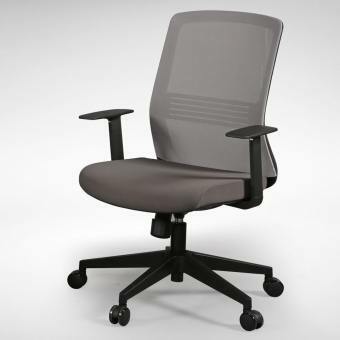 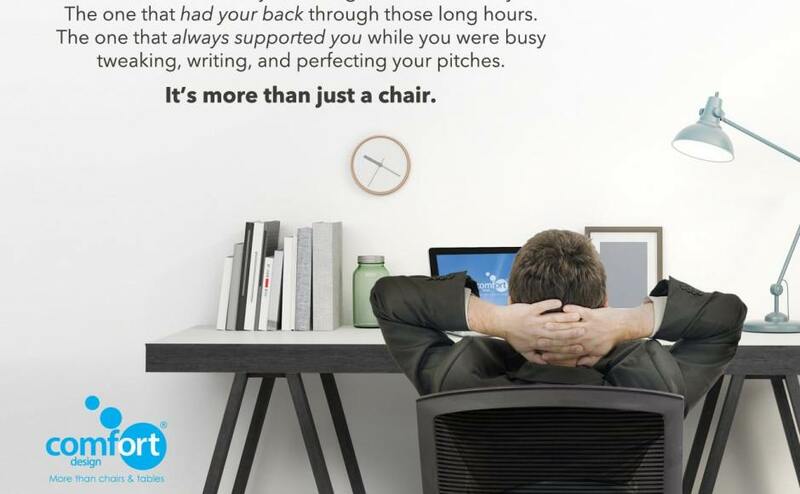 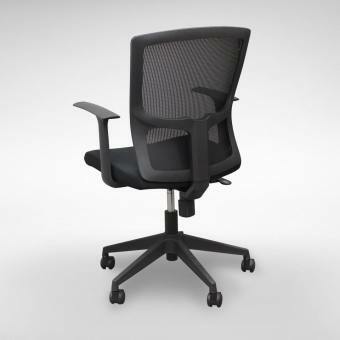 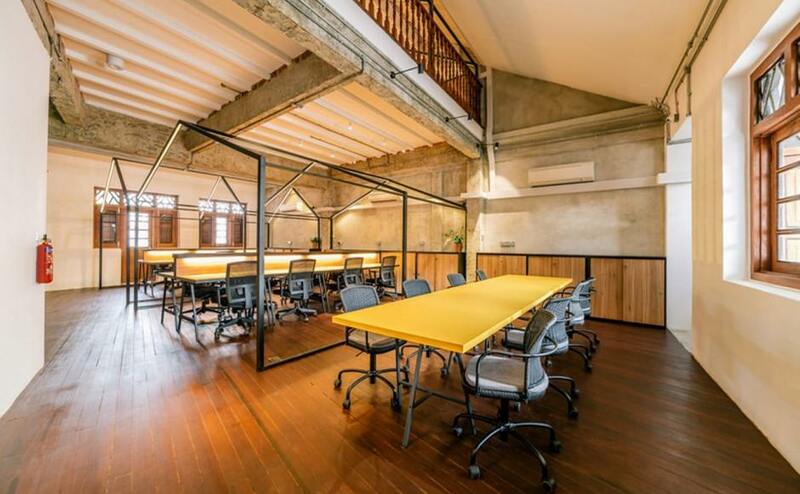 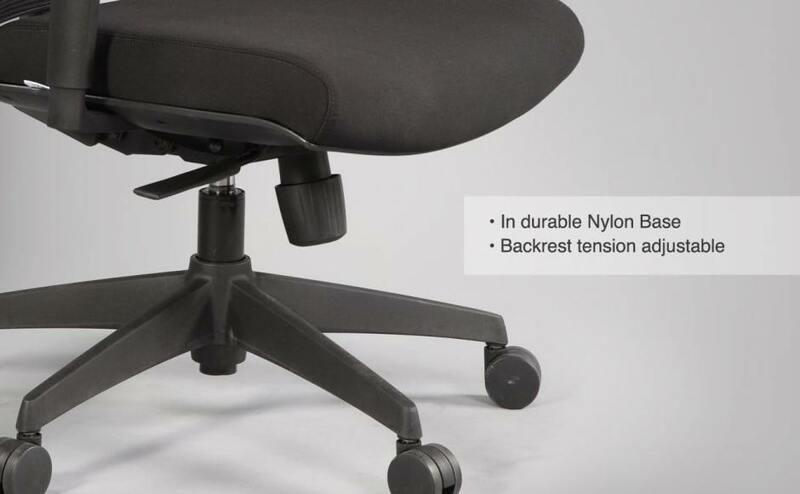 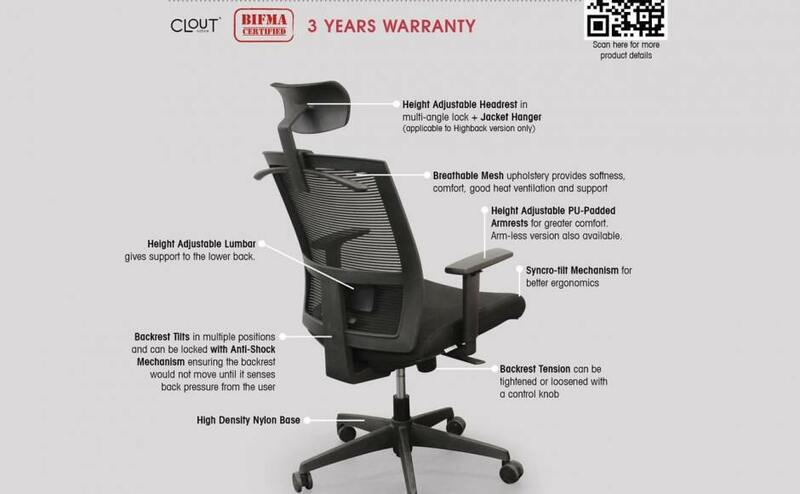 Height adjustable lumbar gives support to the lower back. 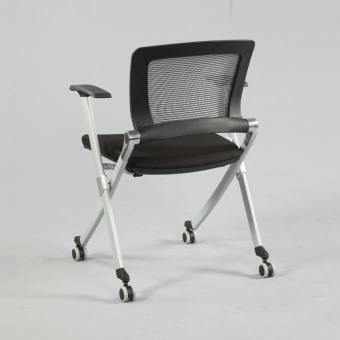 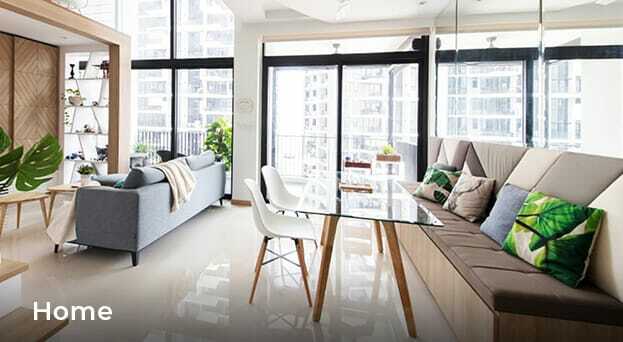 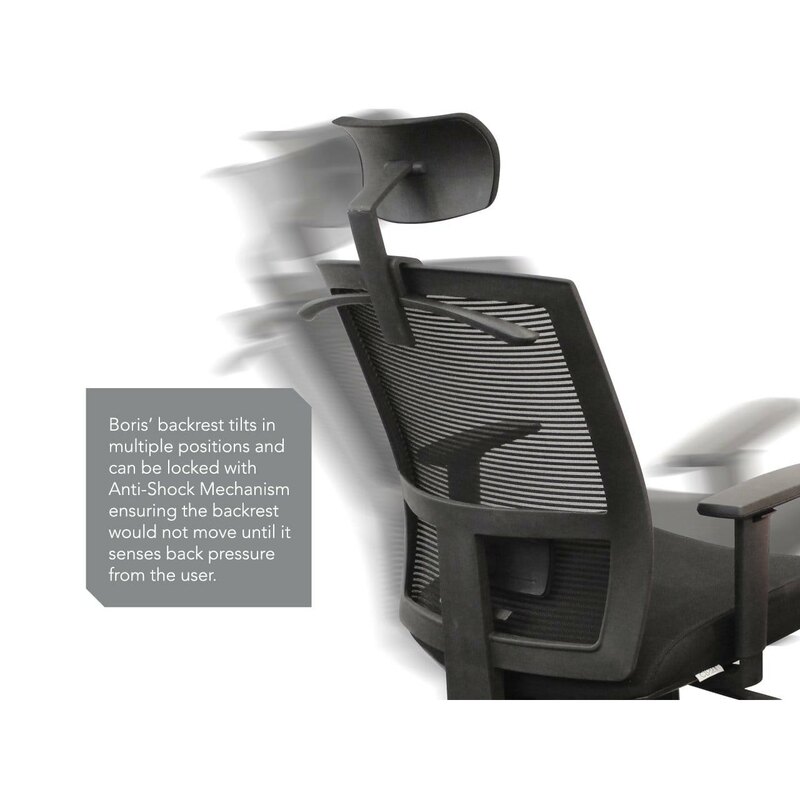 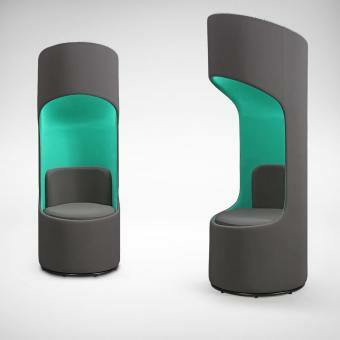 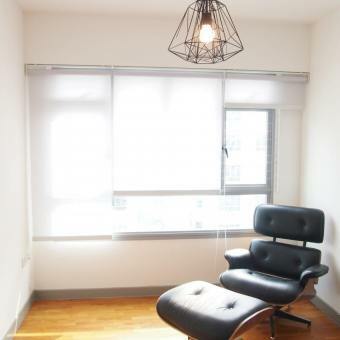 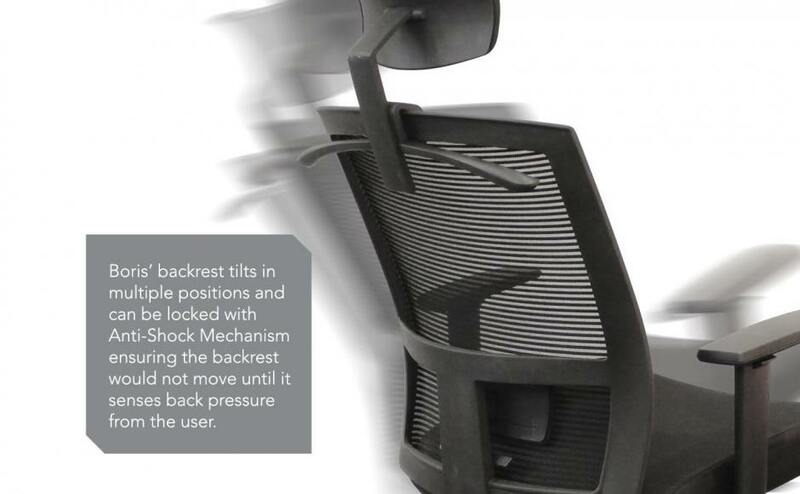 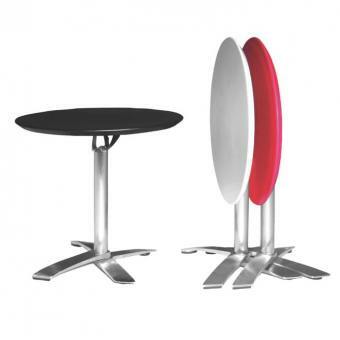 Backrest tilts in multiple positions and can be locked with Anti-shock Mechanism ensuring the backrest would not move until it senses back pressure from the user. 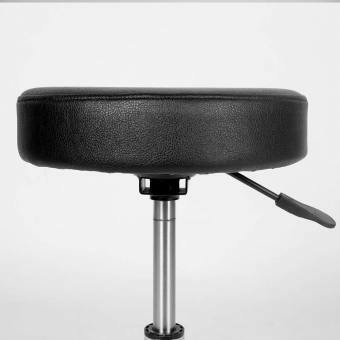 Backrest tension can be tightened or loosened with a control knob located on the side of the seat.